English Medium schools and Madrassahs exist in this country besides the National Bengali Medium system. None of these systems can actually claim to provide a 'balanced' education. Most students from English Medium schools are detached from our culture, heritage and literature, whereas students from the Bengali Medium schools have great difficulty in developing good English speaking and writing skills, and are deprived of many opportunities to participate in the global economy. The Madrassah students feel alienated. In the face of these divisions, what can be done about learning in this country? Abul Momen and Shila Momen are two very familiar faces in the cultural arena of Bangladesh, who have been cultural activists for more than 30 years. They were faced with the same hard questions as the rest of us, and were looking for the right solutions. They too were worried about the educational system, but didn't waste their time in placing blame; rather they tried to develop a new educational system, which would provide a child with a balanced education. Even after thirty years, they are engaged in research on how to develop their unique system to make it better. They have been trying to create a system of education through which children can grow up to be intellectually profound as well as culturally and spiritually aware. With this mindset, Fulki was established. Following Fulki's footsteps, Aroni and Nalonda have also developed, and many more will hopefully develop following the same ideas in the near future. Our country needs more schools and colleges like Fulki. A child is born into a world full of haste and desperation, a world that may very easily limit his capacity for growth and deny him his righteous destiny. The promise of Fulki is to prevent this from happening. Fulki, established in 1976, envisioned the creation of a learning environment for children. This establishment takes into account the need for extra-curricular and cultural activities for the proper growth of a child's potential. From the very beginning, Fulki placed a lot of importance on classroom participation and interaction rather than just on rigorous memorization. The atmosphere was always festive, and Fulki ensured that Children actually had fun while they were studying. Conventional teaching methods hamper a child's personal growth by limiting the child's creativity and diversity. Usually education remains within the boundaries of memorization, exams and grade sheets, and this takes the child away from being able to develop his natural and innate talents. Fulki tries to ensure that the right balance of creative and imaginative input is provided to the child alongside the regular study materials. Most education for children is so dull and monotonous in every way that for them joy or festivity is something completely separate from education. This is true if one considers the average situation of a classroom where the main impediment to making education fun and lively is the pressure of huge number of students. Most classrooms have upto fifty students; some have sixty or seventy whereas a few even pack 90 children together. 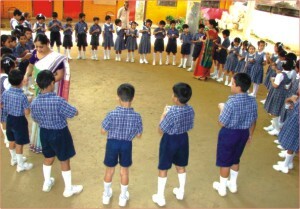 At Fulki, the maximum number of children per class is strictly maintained at 40. As a result of a bad education system, students have no alternative but to seek help of coaching centers and private tuition. Students follow notes and memorize answers to selected questions, and the only goal of education becomes limited to a certificate. It is as if the whole society has forgotten that education was supposed to liberate a person's thought process, enabling multi-track and efficient solutions to problems. In order to ensure that education can actually fulfill its purpose, Fulki blends cultural inputs in education, so that brainwork is inspired and floodgates of creativity are opened. Mere memorization cannot create an enlightened individual; a child must learn to internalize concepts and ideas, which shall eventually unleash his inner-self. Education is not simply following a lecture, or doing one's homework; education is rather the presence of cultural activities, debating, fine arts, sports, knowledge concerning history and heritage, free writing and other extra curricular activities all combined together. It is only when the right balance of inputs are provided to a child that he can become a truly enlightened person and make the society a better place. Based in Chittagong, the creators of Fulki think of the school as “children's cultural world,” where children are provided with the right nutrients for mental and intellectual growth. Fulki is made of two sections, Sahajpath and Sonartari. 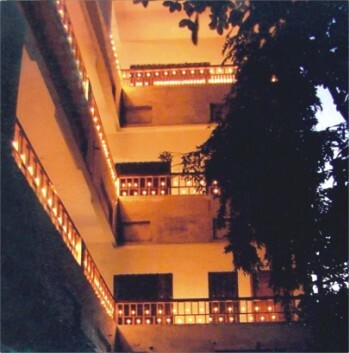 Sahajpath is a daily primary school where teaching is done in a proper cultural setting, and Sonartari is a school that sits on weekends offering cultural literacy programmes along with training in different arts. Sonartari is an alternative supplementary institution of Fulki, where mainly cultural literacy and education is imparted to ensure children's development, both physically and mentally. Two broad subjects are covered in Sonartari. Firstly, from literature and culture, children learn about eminent figures, unforgettable feats, historic landmarks, great events, people and places of Bengal, the universe, nature and environment, etc. Secondly, there is art & artistic performance and appreciation, where music, dance, arts and crafts, recitation, acting, photography, film and Brata yoga (a combination of yoga and folk dance) are practiced. 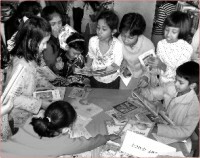 The two institutions of Fulki are supported by three resource centers: Sukumar (children's public library), Galileo (science laboratory for children) and Tansen (Music Library). Both the school environment and the home environment have incredible influence on a child's mental growth. In today's world, families are always under pressure and seldom have the chance to provide the right nurturing environment that a child needs. Neither the conventional schools nor families can provide children with necessary inputs for their mind. There is no denying the fact that children must study to earn a degree from formal institutions. But at the same time one cannot ignore the fact that besides cultivating their intellect, they must also respond to imagination. We must take care of their mind and heart in the same spree of looking after their intellectual development. A truly enlightened person needs to be intelligent, sensitive, creative as well as innovative. Here lies the importance of cultivation of art and culture and the role these can play on the human mind. We are to create scopes for cultural activities so that we can nurture the finer faculties of children and produce such people who are intelligent as well as sensitive and most importantly, loves art both as its creators and connoisseurs. Fulki's vision is to enable students to develop linguistic skills, literary sense, aesthetic sense, creativity, sense of melody and proper human qualities that make them conscientious human beings. Students of Fulki command a rich mental world through cultivation of literature and fine arts and awareness about science and environment. They are conscious about the society as well as about Mother Earth, and in them Fulki has grown the right moral fibers to execute any action or take any decision with fairness and equality. Fulki welcomes anyone to come forward and replicate the Integrated Educational-Cultural Programmes they have developed, and spread it throughout Bangladesh. No single individual like Abul or Shila Momen can change the entire country; they are merely the leaders of change. The existing schools and colleges of the country can incorporate Fulki's unique positive aspects and enrich the entire schooling system of the country. There should not be any hesitation in adopting something good and just. This reform is of utmost necessity in order to create enlightened individuals all over the country, and to show that education for children can be a great, fun experience for them. Fulki was founded by the husband and wife team of Abul and Shila Momen. 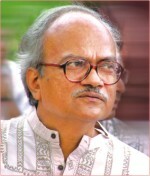 Abul Momen was born in 1948 and has been Resident Editor, Prothom Alo, Chittagong since 1998. He passed his MA from Dhaka University and has since then worked at a number of places including the Chittagong Art College, The Daily Star and The Daily Bhorer Kagoj. He has published books of verse, history, critical essays as well as books for children. 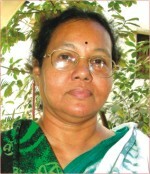 Shila Momen was born in 1952 as is a teacher. She has been principal of Fulki since its inception in 1976. She gained her BA in Economics from Dhaka University. Together, Abul and Shila Momen have one daughter and one son. Their daughter is a teacher at Chhayanaut and their son is a student of Dhaka University.